The next PhD Seminar will be given by PhD student Michael Hall on Wednesday 28th February at 4pm in E.Barlowe (Eliot College). In post-war Britain, the country’s relationship to its heritage changed irrevocably. Shifts in political, economic, and societal structures meant that long-accepted attitudes towards national identity were forever altered. At the epicentre of these changes was the English country house, which following this period became the prevalent symbol of English national heritage. 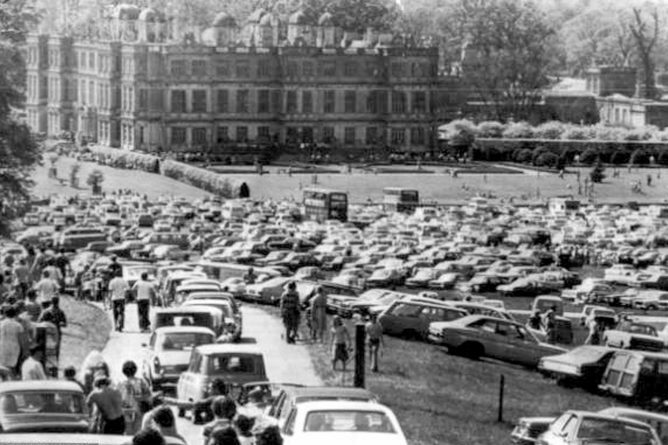 Today, large country estates have claimed a secure place in the heritage landscape, however throughout the early to mid 20th century their fate was not so certain. This presentation will explore the ways in which seismic societal changes following the second world war were leveraged by a handful of aristocratic landowners to market their ancestral homes as tourist destinations, and begin to run them as commercial enterprises. It will trace this trend as it became more accepted and ultimately helped to form the heritage tourism industry that is so vital today.